...I get 2 whole days to spend with my most favourite person!!! Last weekend we got to spend lots of time outside, which was lovely. This week-end I am going to enjoy my long breakfasts with the littlest, happily chase him up the stairs, and be thankful I am at home with him when he's grabbing the dog food for the millionth time. And then before I know it - it will be Sunday and we'll start the week all over again. On Saturday we went to the park and walked through the Leo Mol Sculpture Gardens. The flowers are not in bloom yet, but it was still pretty to look around. I love this smiling face! I also love that the weather is warm enough to be outside in just a t-shirt. 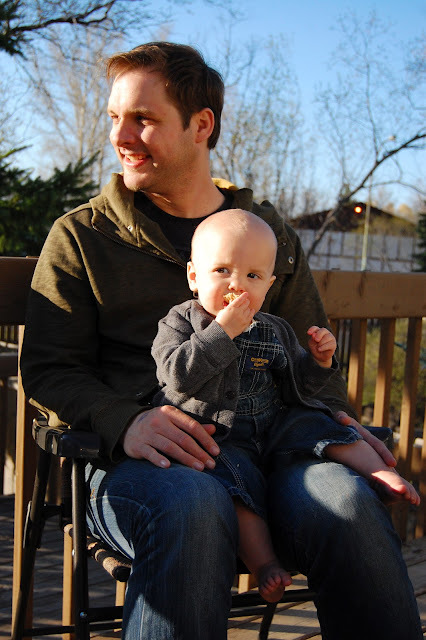 My two favourite guys... enjoying one of the first BBQ's of the season. Soren LOVES BBQ's, especially hot dogs. This changes all the time though, a few weeks ago he was obsessed with hamburgers. Baking is one thing he never passes on... we would know something was wrong if he refused to eat a muffin! I think my favourite thing about being back to work is wearing heels. While on maternity leave I didn't spend the days lazing about in my pyjamas, but I also never had the opportunity to wear heels. It didn't really fit in with going to the playground or baby rhyme time. I am in need of some SERIOUS shopping!! I think I've gone through all of my decent outfits in one week! My other favourite thing about work is going out for lunch, and drinking lots of delicious coffee. 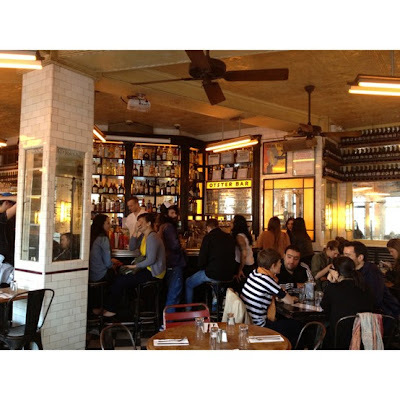 I went to a cute little french bistro today with two colleagues for a relaxing, long lunch. It was great to catch up on work - but outside of the office. Sometimes a change of scenery is much needed during long days in a cubicle!